I notice that using a generic USB OTG adapter works with the “USB OTG” port during boot, but once Skylark loads, it switches into device mode and sets up RNDIS + Serial from what I can see. I have not been able to find the scripts that enable it, I assume it is a script or program since it does not switch until after the UI loads. If possible, in future releases of Skylark, please consider an option to toggle the USB OTG usage (host or device) within the touchscreen menu. The OTG port is much safer to plug and unplug than the USB port designed for the dongle. How does this affect the normal user of the DreamCatcher 3.03 and Skylark? I what way is it for you safer using the otg micro usb port for the dongle? You even need a adapter then. Doesen’t make sense to me. I nearly broke the dongle port when gently inserting a USB HDD cable. I have to wedge a flat-head screwdriver between the plastic case and usb port to give it some pressure to insert anything (including the dongle itself), otherwise the port starts to push inwards and would break off the pins. The feature I request would not take any current features away, except offering the user to choose wether the OTG port takes a device or is a device. (aka if you do not need USB ethernet or serial, you could switch it to use OTG). I personally would rather plug and unplug a OTG adapter to the OTG port than the dongle port, which is not secured in the front. Regarding normal use, it would make it easier to attach USB mass storage. Could you add a Photo of the USB Port where you have such Problems? Never had that on any othernet device. Is this situation occurring because of a case fitting conflict? That is resolved by modifying the case or its design. In my experience, the normal USB port works easily and does not need to be forced in any way in order to accommodate the EDUP dongles. I have had good experiences with both versions 3.02 and 3.03, and not needed any revision to use the equipment as supplied. If your equipment as received is defective, please notify @Syed. Not sure if defective, just no front ground support for the port, so any insertion momentium stresses the rear support and can easily bend upwards. 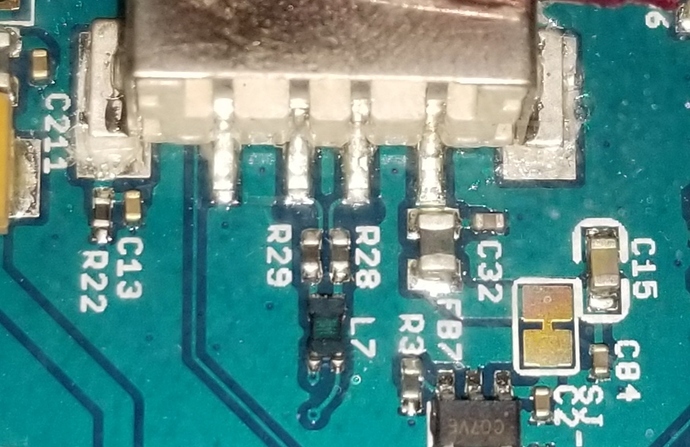 I figure this design saved a few cents in manufacturing since the dongle is not intended to be removed (and was pre-inserted when I received my board). I am not sure why a hardware modification would be suggested in in lieu of a relatively simple software solution (they are already doing the hard part of configuring the OTG as a device, a simple config var to tell it not to do so should not be that hard). Never saw that happen. Was it like that from the beginning? That’s definitely defective. I’ll make sure you get a replacement. Unsure, I treated it like any other USB port on an embedded device, I wasn’t super careful with it but I wasn’t rough either. It came with the dongle inserted, I removed the dongle no problem, but when I went to plug in my USB HDD’s cable, it moved like that, and I instantly became careful with it. It still functions 100% I am just weary of replugging that port too many times. You shouldn’t need to be unusually careful with it. Then I will take your word about it being defective. How shall we proceed? a smear of JB-Weld between the underside of the socket and the circuit board (if it doesn’t interfere with the connector contacts) and a further small bead of the epoxy along the connector sides. Clamp the socket down with electrical tape, cures in 8 hrs. That is all it really needs, I don’t see the need for a hardware replacement, but if @Syed does, and wants to exchange it, I’d love to wait for the v3.04 and swap it out. But honestly I’d rather @Syed save the company money for the project, as this is such a minor defect. btw @Syed, I believe the reason the port is loose is because the ground plate was not properly soldered. You may want to check any existing boards still in your inventory. You can see some of my failed superglue attempt (ended up gluing the damn hub in permanently, lol), but no sign of solder on the left and right ground plate connections.